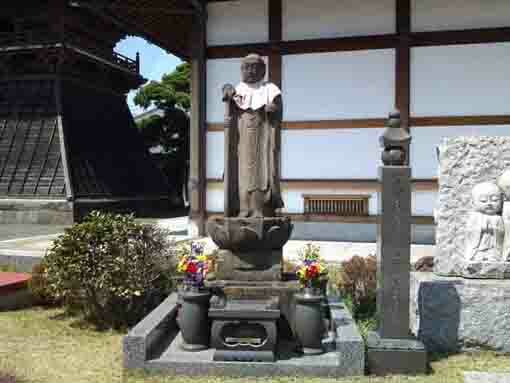 The 33 Pilgrimages in Gyotoku and Urayasu was a very popular course of tourism in Edo period. Visit Ise Jingu Shrine, the 88 pilgrimages in Shikoku and the 33 pilgrimages in west (around Kyoto) were very far for the people living in Edo at that time. And also the 33 pilgrimages in Bando (Kanto region) and Chichibu in Saitama prefecture needed many days to complete their tours. Then a newly Pilgrimage was designed in Gyotoku and Urayasu because the area was one of the closest popular tourist resort for people in Edo. 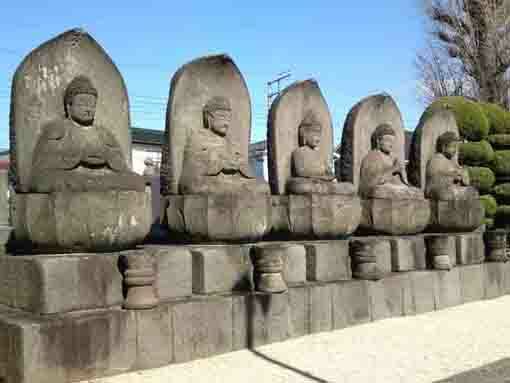 Gyotoku and Urayasu was very near to Edo and also the 33 temples were in the small area, so it could give the divine favors to the people who had had complete the pilgrimage 3 times. The pilgrimage begins from the first temple Tokuganji in connection with the strongest samurai worrier Musashi Miyamoto, and it ends at the extra temple Fujiwara Kannondo Hall where Musashi and his son in law Iori first met at, thus it could be said that the pilgrimage sounds like a journey for sumrai worriers to train their martial arts since both start and end are deeply related to Musashi Miyamoto. 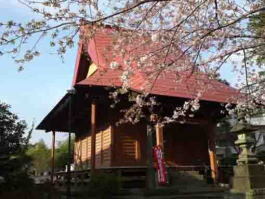 Moreover, the temples in Gyotoku and Urayasu area are very close to each other. You could visit them on foot from the stations nearby. It means that to complete the 33 Pilgrimages in Gyotoku and Urayasu has been the close and easy for people living in Edo then and Tokyo even now. Why don't you try to complete the 33 Pilgrimages in Gotoku and Urayasu? All temples of the 33 Pilgrimage in Urayasu and Gyotoku is set in Urayasu City, Gyotoku in Ichikawa City and Fujiwara in Funabashi City, Though the all 33 temples are standing on the small area in east Chiba prefecture, it is not easy to visit in one day. So to visit all the temples completely, it could need a few days, to visit them reasonably, they are divided into 6 groups. Visiting a group in one time could be better for pilgrims to complete the pilgrimage, and visitors could enjoy their trips in Gyotoku and Urayasu as they could have enough time to see them. To walk around the 10 temples in the group 1 (along Teramachi and Naritamichi road needs 1 day (including taking on trains), and to visit other temples in each group on foot needs a half day. Of course, you need more hours if you want to see them carefully. Actually, spring is the best seasons to visit them as they are in many cherry blossoms. But visitors could enjoy to see them covered with colored leaves in fall. If you try to complete the 100 pilgrimage that you would visit all the 33 temples three times and the extra temple completely, it would be better season for you to start the 100 pilgrimage in early summer since you could enjoy it and take many pictures of the temples in long daylight hours. And the second pilgrimage could be started in fall since you could enjoy to see many trees covered with colored leaves in the temples. 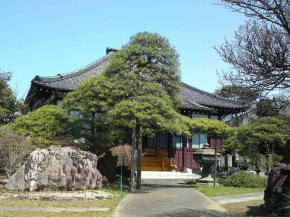 Finally, you could start in spring since it would be the best season to visit the extra temple, Fujiwara Kannondo Hall in fully bloomed cherry blossoms in front.